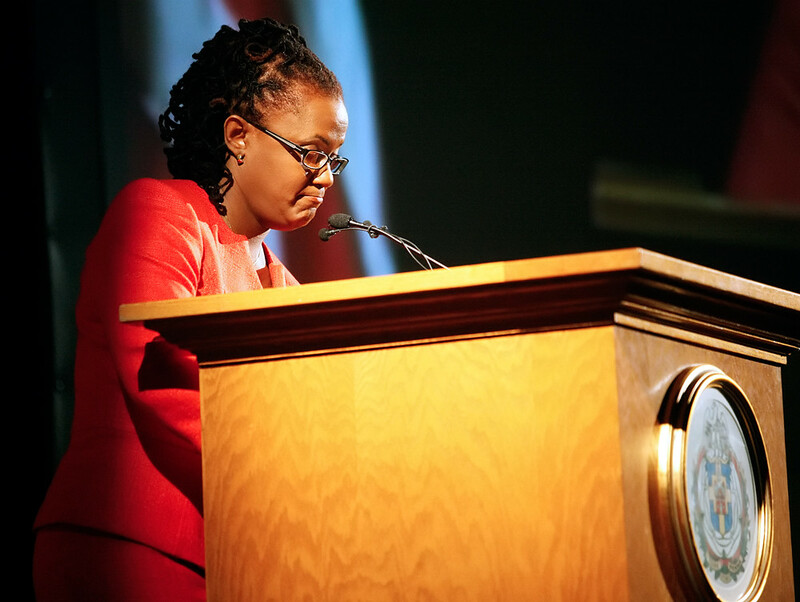 Last night was York City mayor Kim Bracey’s first State of the City address. In my pursuit of two other people’s names, I decided to leave the auditorium and venture backstage despite my not knowing my way around. In doing so, I happened to find the mayor waiting offstage. © 2011 by The York Dispatch. 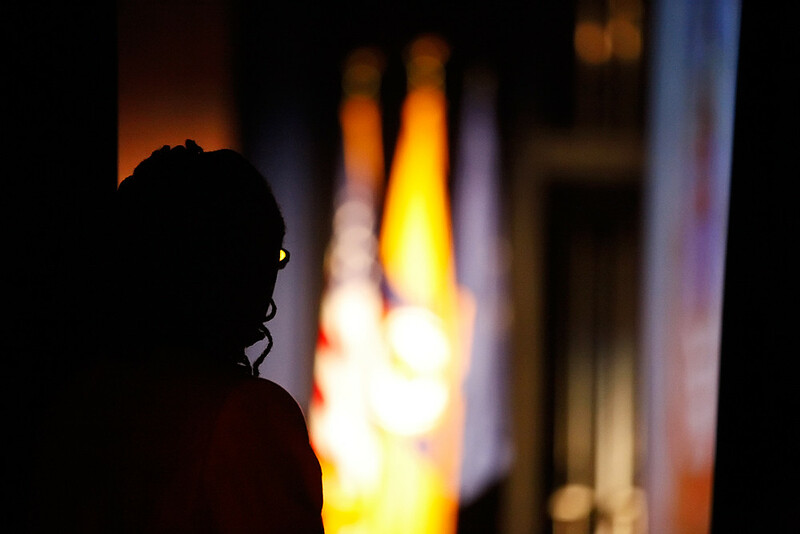 York City mayor Kim Bracey waits offstage as York City Schools superintendent Dr. Eric Holmes introduces her prior to her State of the City address at William Penn Senior High School on Tuesday, April 12, 2011. © 2011 by The York Dispatch. 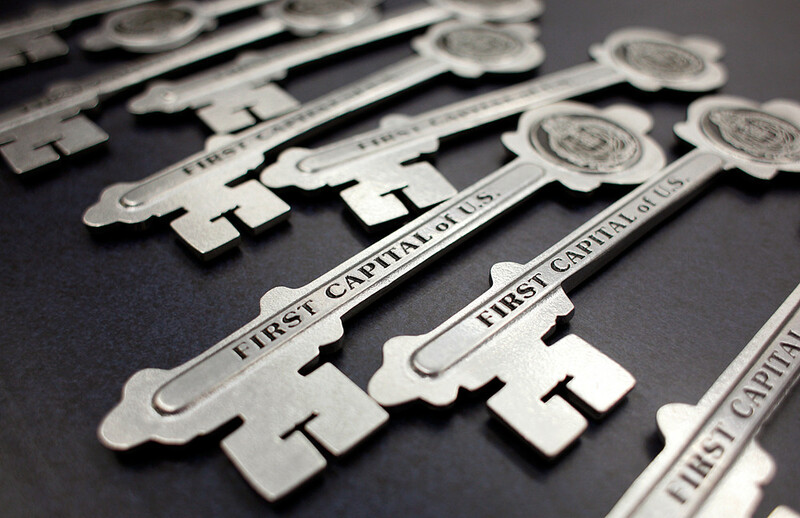 Keys to the city lie on a shelf in the William Penn Senior High School library on Tuesday, April 12, 2011, before they were presented to 10 recipients of York Awards at a reception prior to mayor Kim Bracey's State of the City address. © 2011 by The York Dispatch. 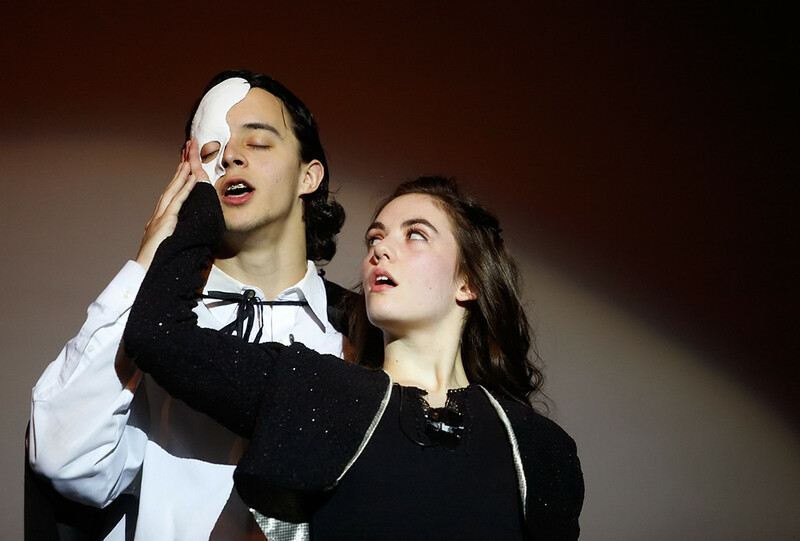 Performing as the eponymous character of Andrew Lloyd Webber's "The Phantom of the Opera," Central York senior Danté Strange sings "Music of the Night" as William Penn senior Maria Houck performs as Christine Daaé, before York City officials and mayor Kim Bracey took the stage for her first State of the City address at William Penn Senior High School on Tuesday, April 12, 2011. © 2011 by The York Dispatch. York City mayor Kim Bracey bites her lips as she scrolls through her iPad after losing her place while giving her first State of the City address on Tuesday, April 12, 2011, at William Penn Senior High School. Bracey said earlier that she often uses her personal iPad to give speeches*, and that she always has her speech on a piece of paper as backup. * This is what Bracey told me while we were offstage, before she gave her speech. When, 10 or so minutes into her speech, she paused for 30 seconds, I could tell from her arm motion that she was scrolling through her speech.